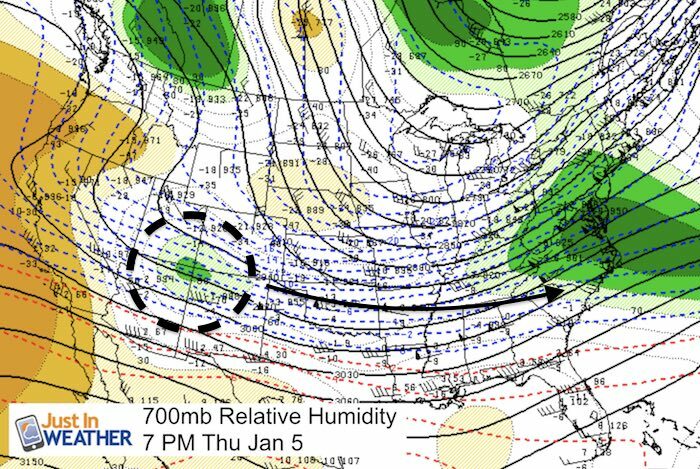 Thursday Jan 5 10 PM – This is a quick update on the second system on the way Friday night into Saturday morning. Only brief notes because there were many questions, but it is snowing now and I need to wake up early for my clients… But will there be more work this weekend? 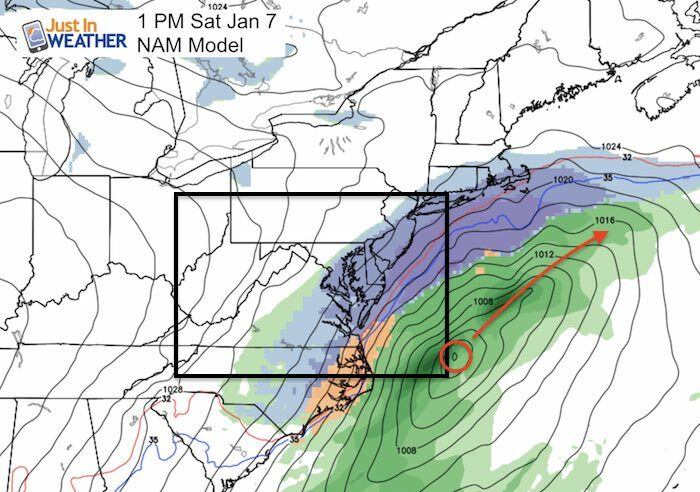 Over the past two days I have pointed out that I think the models will bring that second stronger storm farther north. This was based on an earlier arrival timing the energy before the jet stream could slip too far south. Also, a bias in the models that have had the storms verify farther north than projected. Winter Storm Warning for southern Maryland. See the latest projected totals and what to watch for should it shift farther north. This storm has Winter Storm Watches as far south as Atlanta and into Delmarva. 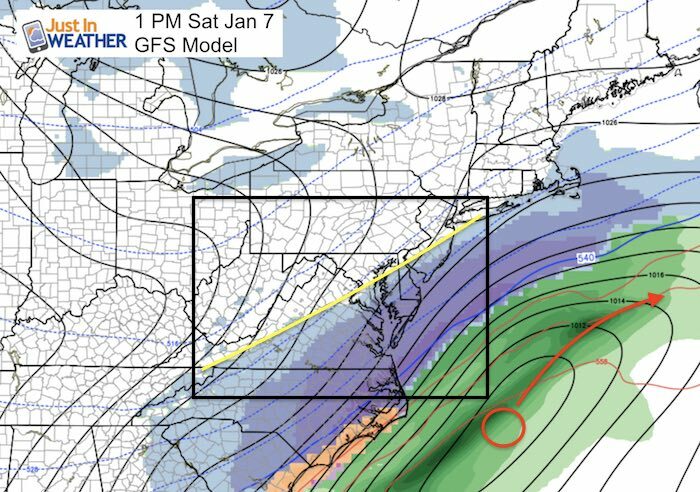 Ocean City, MD to eastern North Carolina could see 6 to 12 inches of snow. But a sharp cut off leaves central Maryland dry… Or does it? Here are two maps form the GFS and Canadian models I showed this morning with the bias accounted for.. So I drew in where I expected the back edge of the snow to be…. 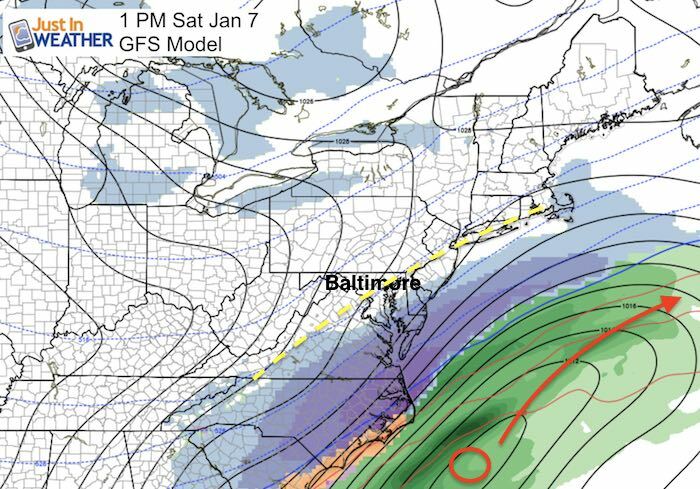 I do not like to bank on one model shift… but the trend has been closer to keep places around the Chesapeake Bay in check. The latest GFS Model did show that slight shift closer… ever so slight. Will we get snow? This all hinges on how the current system behaves. Not only howe much snow it drops, and how soon it departs… but what it does to our north. 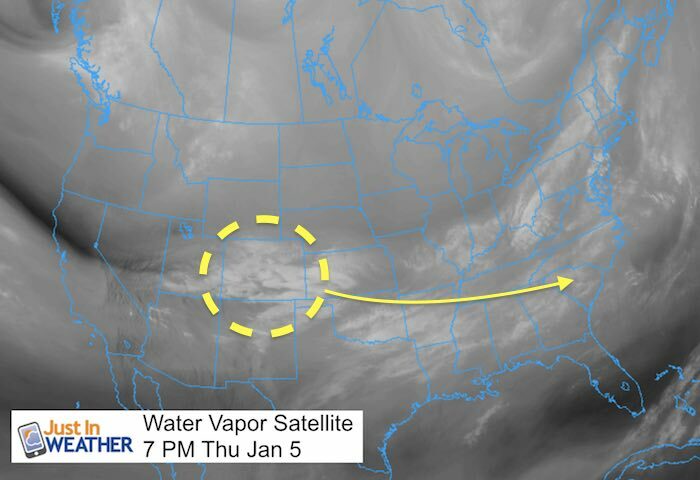 This will help dictate the jet stream. Perhaps limit the drop south and allow the next system to stay closer rather than be shoved farther away. I will update this in the morning…. 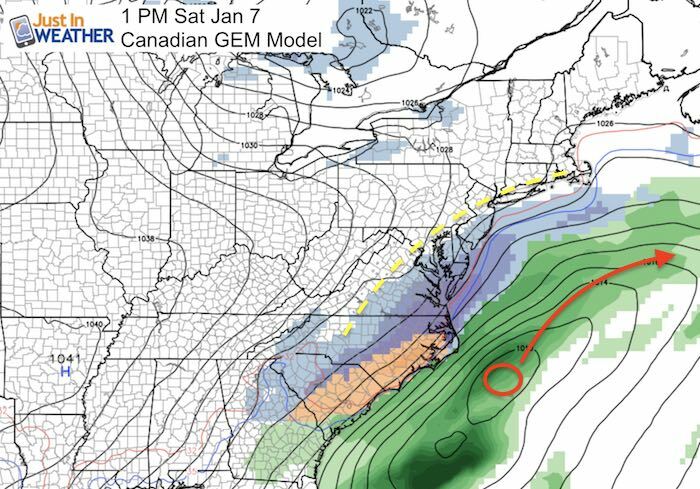 But for now, Salisbury, Ocean City, and Dover all could have decent snow Saturday morning. Virginia Beach may end up with nearly a foot of snow! That’s a rarity!